Just recently we published a list of ten titles that we've described as the biggest Wii U games of 2014, a relatively challenging task when considering the extensive upcoming eShop line-up, in particular. That's part of a quarterly tradition here at Nintendo Life, and we brought the 3DS to the party at the start of this year with its own list, which naturally leaves us with the task of pin-pointing ten key titles once again. After a 2013 that brought some major success stories, the task for this Spring update remains as tricky as the New Year original; some have naturally dropped out from that list based on arrival in stores or changes in circumstances. The confirmed line-up of 3DS games for this year is relatively thin, especially when going beyond nudges, winks and hints and focusing on titles definitely on the way. The ten we've decided upon, as a result of a thinner line-up from which to choose, therefore includes some multi-platform games along with exclusives, while most regional releases miss out. The 3DS is doing well in a tough handheld market, yet we're still left hoping that the best of 2014 is still under wraps for big reveals from Nintendo. In any case, below are ten of the biggest games confirmed to be on the way to 3DS this year, with some honourable mentions at the end. It should surprise no-one that this was also on our Wii U list, with meltdown expected when Nintendo announces a formal release date and, perhaps, a new name for the title — it can't just be Super Smash Bros., can it? Pleasingly Masahiro Sakurai's regular screenshot updates this year have included a reasonable number of images from the portable entry. New stages have been confirmed or given the tour treatment — most recently the Prism Tower stage — and the 3DS title seems to be shaping up nicely. Whether there are any promotions to help those wanting both this and the Wii U version is yet to be seen, but this is certainly building hype rather nicely. More of this title has been shown since our last 3DS list, none of which has done anything but build anticipation further. This'll add to the batch of 2D platformers on the system, and undoubtedly looks promising with all-new power-ups, collectibles, additional mini-games and even a Smash Bros.-style brawling mode. It'll be the pink one's début on 3DS, too. This title drifted from targeting summer 2013, to the end of the year, and now an eventual arrival this year. Our preview was certainly positive based on our early time with the game, with this setting itself up to be a major release to keep gamers busy throughout 2014. With Mushroom Kingdom-themed power-ups, a career mode and potentially exciting online tournaments and options, this is certainly one to watch. We're breaking our own rules by putting this down as a speculative entry. A notable success in Japan, this latest title in the charming Mii-sim series is being localised for the West, so it's a question of when it'll arrive as opposed to if. With the announced line-up currently rather thin and with it having arrived in Japan nearly a year ago, it's not outlandish to suggest that this one may be pushed ahead for a release in the second half of the year. This is currently only confirmed for North America, though we hope the Sega acquisition and partial reorganisation of Atlus will bring more releases to Europe, too. This is the first appearance of this franchise on a Nintendo system, and will blend characters from Persona 3 & 4 with gameplay influenced by the Etrian series, with a visual overhaul also accompanying the IP's arrival on 3DS. We suspect Persona fans already have this near the top of their must-have lists. Despite some delays we doubt that fans of WayForward's iconic franchise have lost interest in this one. The successful crowdfunding of a flashy HD console title may have caught admiring glances, but this pixel-based third entry in the franchise is holding our focus for now. 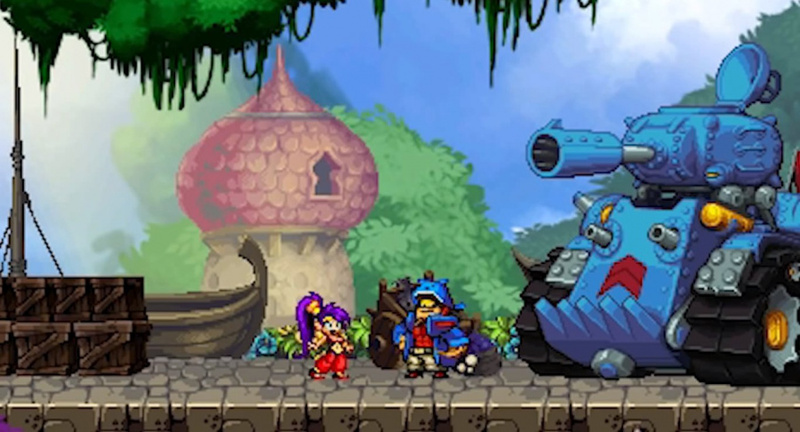 This time around Shantae will have special abilities when she's a pirate and will team up with former enemy Risky Boots. This narrowly missed out on our Wii U list due to our focus on exclusives in that article, but with the confirmed line-up on 3DS being a tad slimmer, we feel it merits a place as it did in our equivalent from the start of the year. The 3DS version will include — as well as autostereoscopic 3D — a StreetPass mode in which you battle other players, which sounds fun and slightly bonkers at the same time. The developer has promised that the various delays (it may yet arrive in April) will be worth the wait; it hopefully won't be long before we can see for ourselves. Selected by Nintendo of America to go on show at its booth at IndieCade 2013, this could be typical of what many of us perhaps hope for in download games on the 3DS — a simple idea suited to quick gaming sessions, with seemingly fresh ideas to keep the experience interesting. This Breakout/Arkanoid-style title — with influences from platformers and more — promises 60fps (frames per second) and more than 50 levels, with some attractive visuals to boot. You can learn a bit more in our interview with developer Mojo Bones. Renegade Kid was able to generate a fair amount of buzz and excitement earlier this year prior to a formal announcement, and Moon Chronicles will be the first episodic release on the 3DS eShop. The first season will be an enhanced remake of the original Moon on DS, while a second season of all-new content will come in 2015. There'll be four episodes in total through 2014, while this will also be the first FPS on the system — we spoke to Renegade Kid's Jools Watsham about the upcoming release, too. We have left out some games, naturally, some of which certainly deserve special mentions. Disney Magical World arrives shortly in North America, while LEGO fans may also be looking forward to LEGO The Hobbit in particular; Professor Layton vs. Phoenix Wright: Ace Attorney featured last time, but has been left out as it's arrived in Europe and no clue has been given on a North American release as yet. On the eShop front some other notable arrivals due soon are 1001 Spikes (also coming to Wii U), Rusty's Real Deal Baseball in North America and Nintendo Pocket Football Club in Europe. Some may optimistically hope that Dragon Quest VII's updated release in Japan will come West, but we'd certainly suggest caution with that one. In any case, we feel these ten games — a mix of retail and eShop-only — represent some exciting potential and diversity for the 3DS this year. More will no doubt be revealed in future Nintendo Direct broadcasts and at E3, but in any case let us know which of these you're looking forward to the most in the poll and comments sections below. @Datasun_7 Well I dont know about others but I have a massive back log for 3DS at the present moment and even when I get through that I still have what just recently was released to play. Mario Golf for me. By far! Hopefully we see some big announcements at E3. I'm not entirely convinced we'll see Smash Bros for 3DS this year. I think Nintendo will want to try and boost Wii U hardware numbers by releasing that one first. If they release them both at the same time, a lot of people might just pick the game up for their 3DS. If they release the Wii U version and just say 'coming soon' for the 3DS one, they can force a lot of people to go out and buy a Wii U. My picks are Super Smash Bros, Kirby Triple Deluxe, shovel Knight, and Moon Chronicles. 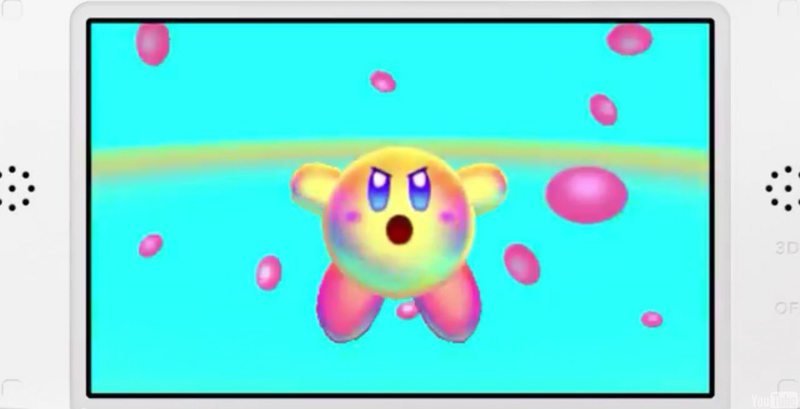 Kirby looks exactly like Kirby's Adventure running badly at 30fps. Smash Brothers don't know hopefully it has more in common with Melee. (My fingers don't like me playing Streetfighter on the 3DS very much so it will have to be really good for me to get it). Shovel Knight - I will get it but I haven't decided on platform. Shantae - First was great - Dsiware was too short and too easy. (Possible I might get it on discount). 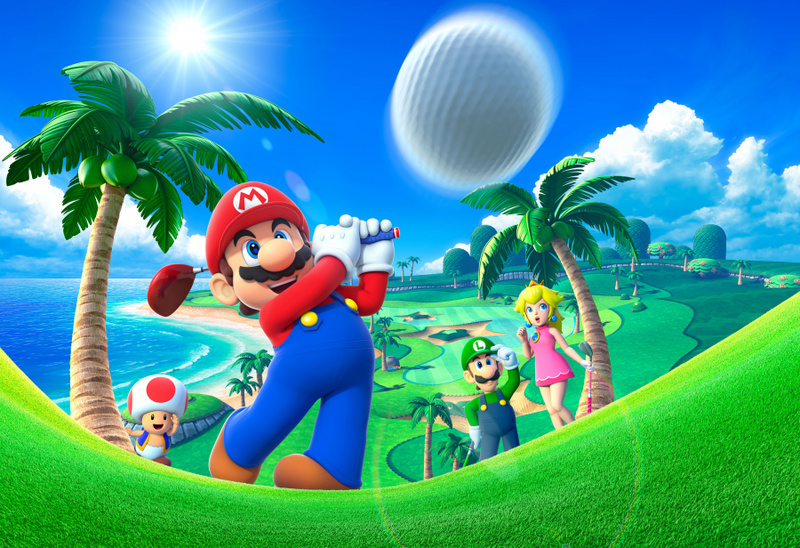 Mario Golf - I will probably get it but I don't know when (My favourite golf game is still Neo Turf Masters). More bothered about Gunlord and the next batch of Sega 3D Classics. Shantae is 2nd and Kirby is third and Persona is fourth. Smash bros needs a release date for my hype. Pretty much all of them but Siesta Fiesta and Mario Golf, 3DS once again destroys anything the WiiU has this year. Well i'm definitely hyped for Shovel Knight, there's Treasurenauts too (wasn't on the list) and Gunvolt (although i think is for Q3). Shovel Knight, I'm interested but don't know if I want it on 3ds or WiiU just yet. Super smash won't be out for at least 6 months after the WiiU version to pish WiiU sales as much as possible, that's a no brainer of course. I have no interest in it but maybe some day in the future I'll have a go of the 3ds version if I have nothing to play. Conception ll, it just sounds, so, Japanese, maybe in a sale I'll get it. Mario golf, never played any Mario golf games but I am thinking of picking it up around launch. Smash got my vote yesterday, so I voted Shovel Knight instead. @unrandomsam Do you have eyes? I mean, really. Kirby looks AMAZING, and it is very different from Adventure. I only care about Smash Bros, Shovel Knight and maybe Shantae. Mario Golf World Tour, Kirby Triple Deluxe, Moon Chronicles, and Shantae for me. Smash Bro- Aww **** yeah!!! That's my **** right there! 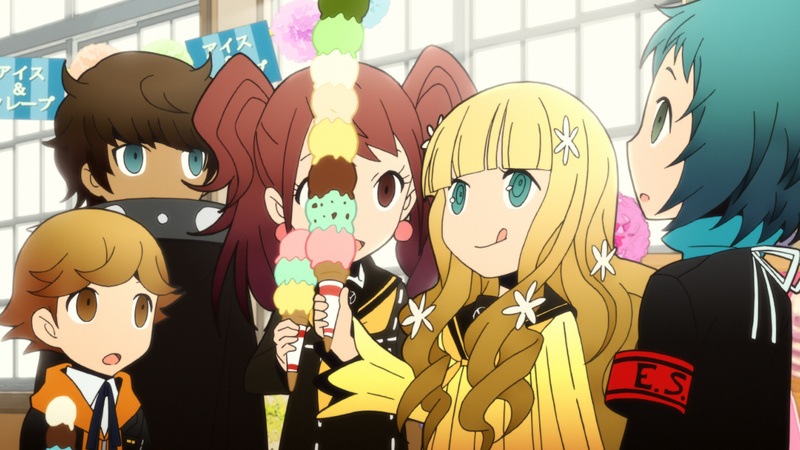 Persona Q- Gettin that fo' sho'. Conception- Single but not desperate (oh snap) J/K but I don't care for job based RPGs too much work very little pay off. Shantae- Hey gurl hey! Another adventure I'm ready to go on. Shovel Knight- A shovel and knight this game has all I need! Siesta Fiesta- IDK what it is and as a proud hispanic I am offended by the Pinata LOL. Moon Chronicles- Oh Jools you fool. Like I'd say no. So many good options and I can't wait to get most of these games. @neohopeSTF really? What about X and bayonetta 2? and mario kart? I'm so excited for those games. Siesta Fiesta for me! Can't wait! So I will be the only one interested in Siesta Fiesta. The gameplay looks unique and the music is great. I thought it had a release date already. Then while I was writing this comment @WiiULoveGBA commented and I am not the only one anymore! Beyond that, obviously Smash, Mario Golf and Kirby a bit lower in my priority list. I actually prefer the Wii U's list over the 3DS list. I voted for Mario Golf. I liked the other Mario Golf titles and this one has RPG "like" features so I'm interested. I love Smash Bros. but I will be buying it for the Wii U instead. I never got into the Kirby games. Shovel Knight looks like a buy and Siesta Fiesta sounds very interesting. Kirby, Shantae, and Persona Q interest me. Also Azure Striker Gunvolt is another game that I'm going to get once it's released in the summer. Umm...Persona Q is not the first in the "franchise" as its merely a sub-series of Shin Megami Tensei games, not a franchise. In fact, the last entry in the franchise here in Europe was Devil Survivor 2 for the DS. @Datasun_7 Another reason why they need to hurry up and kill off the WiiU already. Nintendo should be prioritising the only system making them money. @Peach64 That wouldn’t work out for them as intended, it'd only piss off the majority of potential buyers. Anyway, the 3DS line-up is too barren to allow them to. @Doma "Kill the Wii U" then you have 6m gamers treating you like EA. Yeeaaaahhh, no. Stupid idea especially with the internet around. I'm hoping they finally decide to release SMT4 this year, at some point. That and Smash are the only games left to be interested in. The rest is junk. @Warruz Yeah, I need some Wii U filler! Pokemon Y has given me 130 hours now xD (2nd after Monster Hunter's 163 hours and 3DS only = about 20% of total MH playtime!!) I'm getting ALBW for my b-day real soon and steel diver keeps me busy when I want a quick(ish) play. On the Wii U side, it's Mario 3D World, um Mario 3D World and... oh yeah! Mario 3D World! Going to preorder MK8 for my 2nd B-day present, can't wait!! @GamecubeComplex Yep and they can tell immediately that it is the same engine but not running properly. @Datasun_7 Sure your taking the mick but for those reading who can't/don't read, both lists are not exhaustive. NL picked the highest profile games and made a list, there are a ton more Wii U and 3DS games on the way in the same time frame. Smash not coming out in 2014... not sure why its on the list. And for all the negative nancies above, just cause you don't like a genre (because you refuse to try it out probably), don't say it's junk. There are other games I am looking forward to, but it helps when I actually try them out. SOme of you need to seriously branch out. Nintendo makes awesome games, but so do other developers. There is bad 3rd party support and therefore bad WiiU sales because of this, "Nintendo games only for me" mentality. I think the only ones I care about on the list are Smash Bros., Kirby, Persona Q, and Shovel Knight. However, I picked Persona Q. I'll be getting both versions of SSB4 but I'm more excited for the Wii U ver. I'll also be getting Shovel Knight on the Wii U, and Kirby I'm less excited for. So Persona Q for me. hmmm...It doesn't look as good as 2013, does it? Been anticipating Moon:Chronicles because I really enjoy space sci-fi. Shovel knights looks interesting too but something needs to come out soon, I need something new to play. The 3DS has been in a drought. Moon Chronicles definitely. It's something new and I'll whip up my CPP. Other than that, I'm much more invested in the Wii U than the 3DS. @Datasun_7 - "Looks even more bare than the Wii U release schedule I don't hear anyone complaining about the 3ds "
Difference is, 3DS is 3 years old, so all the new games are being prepared for the 4DS, or Unity, or Fusion, or whatever it iwll be called. 3DS already had Zelda, MK, XY, Luigi, and Kid Icarus, w/ SSB looming. Time for a new system to start the cycle all over me thinks. Don't want another rough start like the 3DS and Wii U had. Make the 4D first next year, then make the Wii U sequel play 4DS games out of the box when it launches 2 years after that. Even Nintendo can't afford another botched hardware console. I guess 2013 makes up for this year, plus they need to focus more attention on the Wii U. Mario Golf for me and I'll get the Wii U SSB... Maybe the 3ds one to. @rjejr , Hope so. You say a Wii U sequel in 3 years (2017)? Speculation? Frankly if I were in charge I'd be red-lining the Nintendo development teams to have a new console for this Christmas 2014. It shouldn't take 3 years to dev a new console and if it does then N has gotten too big, too slow, and too stagnant. @rjejr Why new consoles so soon? No point in that. It's looking like the Wii-U drought of 2013 here. There's not much here except maybe the Moon Chronicles and that's questionable at best based on previous shooters (DS- with their stylus controlled camera). Super Smash Bros. for sure, but I'm also excited for Mario Golf: World Tour, Kirby Triple Deluxe, and Shantae And The Pirate's Curse. I'm also interested in Persona Q: Shadow of the Labyrinth, Tomodachi Collection: New Life, Shovel Knight, and Moon Chronicles. I'm getting Smash Bros only for the Wii U, and I'm more curious than excited about the JRPGs. That leaves Kirby. It's been a while since I last played a traditional Kirby game, so I'm definitely looking forward for Triple Deluxe. Maybe it didn't make the list because it's just a remake, but Steel Empire is really the only game I'm looking forward to for 3DS. I pre-ordered Smash Bros, but I've honestly never been thrilled by the series, and I only pre-ordered because I got it for half price. ....and I guess until a few weeks ago Yoshi's New Island would have been included. It's not so much what is the most anticipated game, more what the reviewers score will be on these games. They sure did get it wrong with Yoshi. I still think Nintendo is stupid for releasing Smash Bros. on the 3DS when they have a dying home console. I mean wait at least an extra year before you release the handheld version, give the Wii U some must have exclusive titles. Big surprise that Super Smash Bros. is the most anticipated game of 2014. I almost voted against it for Kirby but I just love Smash too much. Super Smash Bros.!!! @theadrock13 Um, consoles take more than 3 years to make, whether it be for Sony, Microsoft, or Nintendo. It's not as simple as building a PC (where you just take a bunch of parts and bundle them together). Nintendo, Sony, and Microsoft spend years in investment on planning what their console will be, how to optimize it for parts, what features it will have, what year it should be released, have to approach 3rd parties and 2nd party developers to give them dev kits. And I've probably left out quite a bit of other stuff as well. Do you think it took Sony/Microsoft less than 3 years to come up with the PS4/Xbox One? @Chubblings , Uhm... 20 years in computer engineering, worked for NASA, Sun Microsystems, HP, et al... first off, N should already have been working on their next console for some years now since the U was released; second, yes they should be able to complete the design, manufacture, and release a new console in less than 3 years. NASA put men on the moon in 6 years from essentially zero. The atomic bomb was built in 3 years. A new home console is cake. Kirby Triple Deluxe looks pretty neat, the rest are kinda meh. I don't really care as much if the 3DS' lineup is bare this year, it already has a fairly diverse lineup of great games (and quite frankly, I'm not really sure what else the 3DS needs going forward). The Wii U needs more attention right now, though, it's lacking in those creative, must have Nintendo games that made the experience for previous consoles. Is Nintendo seriously waiting till E3 to show us this years line-up? Are they announcing everything in one go? I hope not. I would love a new Nintendo Direct this or next week. They should have a few 3DS summer releases upcoming, right? Another drought till E3 but this time including 3DS...I hope they avoid it at all cost. They should give us more time to build hype for holiday releases. Oh well, Wii U needs more games than 3DS at this moment. There aren't many must-have games for me on this list, but seeing as I'm still playing through all the awesome RPG's that released last year, I'm not too disappointed. This is a pretty good list, but I have to say, the best entry on the list is Smash Bros. I can't wait to have a portable version of the game. I disagree. Last gen all consoles had really long lifespans,and I don't see that changing. If Nintendo has had problems with both the 3DS and Wii U's launches, it makes no sense for them to engage in two more launches so soon. It would be better for them to have a slow burn approach and increase the userbase that way. Watching the 3DS, Wii U and Vita, it makes me think that people are not that fast to upgrade. PS4/XO had an impressive launch, but I am not sure it will sustain in the long run, or at least it is too soon to judge. Hi guys, I'm new here, I don't have an Nintendo right now, seeing the Mario kart videos I got all excited and decided to buy a Wii U after its release, just to Reminisce in the glory days of my youth, anyways not that I will be buying a 3ds but I've been reading some of the comments made and just wanted to ask why isn't there more 3ds games being developed by 3rd parties? hasn't it been successful in sales? its just you've all been mentioning different reasons why there aren't a lot of 3rd party Wii U titles in the other posts, but while PS vita has a game released every week with its much smaller user base, I don't see that many 3ds games in the making. Voting for Super Smash Bros is so cliche. Mario Golf is my most wanted game this year behind only Mario Kart! Good to see many people in the comments here that feel the same way. Online should be excellent! 1st party games leading the poll >_> What a surprise. Conception 2, Persona Q, and Shovel Knight are at the top of my list. @sinalefa There's no sense in leaving an unsuccessful product on the market longer than they have to. Since the 3DS and Wii U aren't doing as well as they normally do, Nintendo is most likely looking towards making the next big thing and releasing it as soon as it's ready. So 2016/2017 sounds about right for the beginning of next gen, then the 3DS and Wii U will have been around for only 4 or 5 years, which would be an appropriate amount of time for them to finalize their next consoles. I just hope that this time they display some more foresight and plan the consoles based on where the industry will be by the end of the decade, not where it is now. @rjejr Advance Wars and Metroid on 3DS will need to come before Nintendo can start to think about retiring it. Ignoring those franchise will severely lower the chance of me buying their next region-locked, account-less system. @theadrock13 I apologize then, and I'll take your word for it. Nevertheless, should Nintendo release a new console soon, they likely won't release another one for a while, (and get an underpowered system again), as well as alienating the 6 million people who bought a Wii U. In my opinion, I believe they should actually try to market the Wii U properly, make more first party games, make deals with developers (similar to what they did with SEGA because third party support is gone). Although, I do respect your opinion, and I understand where you're coming from on releasing a new, more powerful console. @Datasun_7 thats cause unlike WiiU, 3DS has a ton of games already available that are worth replaying like Link Between Worlds, Pokemon XY, Animal Crossing New Leaf and Fire Emblem: Awakening. Not to mention a much better eshop selection with stuff like SteamWorld Dig and Pushmo. WiiU's library has very little must-own games. It has a lot of solid ones, but nothing that really compares to the level of quality titles that are on 3DS. Really? I thought you were a frame rate guru? Kirby Triple Deluxe runs at 60fps. Little light on software, but I'm sure Ninty has some secrets up their sleeves I can only pray DQVII and Theatrhythm make it over!!!!!!!!!!!!!!!! I'd really have to disagree with you on that. New Super Mario Bros U makes NSBM2 look like amateur hour. Super Mario 3D World puts 3D Land to utter shame. DKC Tropical Freeze outclasses DKC Returns in every conceivable way, and Monster Hunter 3 Ultimate (Wii U) is clearly the superior version over MH3U (3DS), which doesn't have a second analogue, HD graphics or online. Again with Sonic Transformed, the 3DS version is garbage while the Wii U version is one of the best games on the system. And soon, Mario Kart 8 will continue that trend while easily outshining Mario Kart 7. Point is, Wii U isn't as far behind the 3DS as people think, and really, it's the other way around. 3DS has many titles that can't compare to the level of quality seen on Wii U. I'm not going to presume to say one is better over the other, but I will go so far as to say it's close enough to be a toss up at this point... Wii U did a ton of catching up in the last 6 months, and with GBA/DS games on the way, along with some choice exclusives and the impending goldrush of indies, the system will bridge any perceived divide by the end of this year. I am still waiting for the US to get Phoneix Wright vs Professor Layton. And the 3DS isn't going away, notice all those boxes of DSi on store shelves?, those go away, the 3DS becomes the new entry line that the 2DS has already started down. The 3DS could last another 3 or 4 years at least, the DS has been out for 9, and that's TOO long, and it needs to go away. The DS goes away, the 3DS gets cheaper, 4DS is more expensive and maybe plays games on tv via Wii U and doubles as a 2nd Gamepad controller - whatever happened to that? That's holdiay 2015 - 18 months from now, but they need to start working on those games now or they wont be ready by then. Hopefully the unity fusion ideas they are working on means no more droughts on any systems, but they need to get started now. Probably goes w/o saying but this is all just speculation on my part, not even reaching the level of rumour and innuendo, but Iwata needs something new if he wants to keep his job. Kirby: Triple Deluxe is what I'm most hyped for. Smash Bros is still going into my library, but until enough juicy news for it gets spilled out, I'm not as hyped for it. I'll probably get Mario Golf after all the stuff I've heard about it. Shovel Knight and Shantae are going into my SD Card. @JaxonH Where did you get that information ? If it is great I will get it. (I was just going on the last Nintendo Direct where it looked like that to me.) Main thing that bothers me about it is how it affects the controls. I can tell playing the games but determining whether it is a 60fps game in a 30fps video or not I cannot do. Don't see why Nintendo would broadcast it like that. Looking forward to persona Q and smash bros (i will get both versions) Conception II looks interesting, but i have to look more in to it before i decide if i want it or not =P Pretty good games still coming out for the 3ds. I voted Kirby cause I'm getting Smash for the U. Mario Golf aside, the rest of those games... ouch. The 3DS gets games faster because a large amount of them just reuse old Wii technology. I voted Persona Q, but my honest favourite is Smash Bros I just figured it would have had enough love already. Read it on a couple different sites of people who care about that stuff. Everyone's saying it's 60fps confirmed, general agreement everywhere so I assume that's what it is. But that's the thing- you can't tell by videos on the internet unless it's slowed down. @unrandomsam - "Thing is the 3DS is not really a replacement yet for the DS"
Can you elaborate on that, I'm not really sure what you mean? To me 3DS officially replaced the DS when Pokemon X + Y came out on 3DS but NOT on DS. If you mean unit sales, yeah 3DS is way behind DS, but its never ever catching up so no point waiting. Can you imagine if Nintendo waited for Wii U sales to reach Wii sales before a Wii U successor came out? Not sure what else I could be missing. 3DS got MK7, NSMB 2, SM3DL, Animal Crossing and Zelda. What has the DS gotten that makes it not replaced? DS hasn't even had a Skylanders game, it's been replaced. I'll be getting smash bros on Wii U so I might skip the 3ds version. Due to the sheer amount of 3ds games which I have yet to pickup I hadn't realised the stream of content was slowing down. Out of everything the Atlus RPGs are the most appealing although my enthusiasm will be reliant on how they review. Speaking of Atlus, I forget that Europe hasn't recieved SMT4 or Etrian Oddyses:MG yet. What I really would have wanted would have been Zero Escape 3 or some exciting Adventure/VN game like Ghost Trick to emerge. Still I have no fears that 3ds games will come tumbling out of e3. It's a freakin' shame that Nintendo and third party companies focus so much on 3DS there are SO many games including from the e shop and virtual console that I've been wanting to get for a long time but for Wii U I'm just waiting for Smash and a few virtual console games. I think that's a good list, actually. I'm most interested in Shantae and the Pirate's Curse, then Conception II, then Shovel Knight (wouldn't mind Persona Q making it to Europe as well if it's as good as Etrian Odyssey). That's enough for me. Siesta Fiesta? Conception II? It sounds like you guys ran out of games. Substitute any two between Friend Collection and Moon Chronicles, exclusive, for Sonic Boom and Disney Magical World and this list would be slightly more accurate. But still, ten is reaching. It doesn't help that Super Smash Bros. is (I suspect) likely to be delayed. I think this year I'll be getting more games for Wii U than games for 3DS. Still, I have lots of 3DS titles that I haven't got yet, like Luigi's Mansion DM, Yoshi's New Island, SM3D Land, TLOZ OoT 3D, and more. Dnnghh... how do I change my vote?? I voted for Smash Bros. but in truth, I'll get that for the Wii U, but Shovel Knight for the 3DS! @ZephyrTortera I guarantee you that a size able portion of Japanese gamers will go for the handheld version as opposed to the Wii U, and potential adopters to the Wii U in the UK (where the wii u is doing poor and 3ds is selling well) may just say "what's the point? It's coming to 3ds". I think it's going to lose nintendo a lot of potential hardware sales. @rjejr I mean there is quite a bit in a few genres and nothing at all in most of the rest. Some people like playing the same genres all the time I don't. The DS library is far more diverse. If they are not going to use the GBA backcatalog to fill in the gaps they should keep selling the DS (As it has at least a few entries in most genres). A couple of interesting games in there, but the list could certainly be meatier. The 3DS is still hurting from its poor start in 2011 and it looks like it will never completely recover. @JaxonH If it is done right then a 60fps video can be uploaded to Youtube. Changing the speed like those places recommend (And when the music gets faster as well) I don't trust. Is Yoshi's New Island 60fps (Because there are also videos claiming the same thing works on that but no reviews I have read have mentioned it). I feel unsuccessful is a strong word, at least when talking 3DS. When compared with DS it is, but then again, almost every other system would be. A lifespan of 5 years sounds reasonable, less than that and it will hurt the fanbase with betrayal and abandonment feelings. And the moment they announce such new systems, the moment everyone feels they don't care for 3DS/Wii U but the new ones, so they cannot announce them way ahead of time. @unrandomsam - "The DS library is far more diverse." @sinalefa - "And the moment they announce such new systems, the moment everyone feels they don't care for 3DS/Wii U but the new ones, so they cannot announce them way ahead of time." In my defense, my argument is based on a limited supply of new 3DS games b/c they are working on 4DS games now instead of 3DS games, b/c good games these days take years to program. Maybe you're right and they shouldn't announce 4DS this E3 for holiday 2015, and not announce it until E3 2015, but they would still need to be working on games for a holiday 2015 launch. As a new 2DS owner, I guess I can start finally getting excited for all these great games! Nintendo consoles release like clockwork. Every 5-6 years we get a new one. Which means we will see a Wii U successor in 2017, perhaps 2018. My guess is 2018, because the longer a platform is on the market, the more profitable it becomes. This is why PS3 and Xbox 360 had such long lifespans. It took them 8 years to get out of the red and into the black. Nintendo typically doesn't need as much time, because they manage their costs much better. Mario Golf for me, I've been wanting that game since early 2013! @JaxonH - "Nintendo consoles release like clockwork. Every 5-6 years we get a new one"
So my 4 1/2 years for 3DS isn't close enough to 5-6 years for you, man you're a tough customer. OK, I'll give ya the home console 5-6 yrs, but for handhelds you are leaving out a bunch of derivatives like DS Lite and DSi (and Gameboy SP or Micro or something). I dont count the XLs b/c they are just bigger, but the DS Lite and DSi have several major differences. And I dont count 2DS b/c it is a step backwards - 3D to 2D , stereo to mono, foldable to static - so 3DS is DUE an update. 2 thumbsticks at least. And a bigger battery. But, BUT, Wii U needs help, so skip the 3DS update and come out w/ 4DU that plays games on TV via Wii U and doubles as a Wii U Gamepad controller and will run on the fusion OS waiting for Wii 2. Wii 3? SNESU? Sitting on his laurels - 3 straight years of losses - won't keep Iwata his job. Showing some forward thinking - beginning the merger of home and handheld, might. Man I've been typing for hours (see my FireTV forum thread, better yet, don't) time to go back to DKCT 2-2. Wish me well. You count new systems as ones that require new games. For example, Gameboy Color counts because it required GBC games. GBA counts because it required GBA games. Same for DS> but DSi and DS Lite did not require new games- they were nothing more than derivatives of the DS. DSi was in many ways a step backwards- it lost all backwards compatibility with GBA, but it did so in the interest of lowered costs and price. Same for 2DS. It lost the 3D effect, but it did so in the interest of lowered costs and price. And keep in mind, when they say 3 years of losses, they don't actually mean losses. They mean 3 years of missed fiscal projections. So they predict they'll profit this much, but they only end up profiting half that. Their "loss" is only a projected loss. They're still profiting. Not saying it's nothing to be concerned about, but it's important that people distinguish the difference. well im waiting for moon chronicles it looks awesome enough to make me buy it. Kirby and smash for me.I still enjoy Mk 7 and have been finishing up a few vc games,but after a link between worlds my 3ds has has been getting less use. Persona Q and X... Two games that will complete my life until Persona 5 drops... In the meantime, I have Goat Simulator. I'm interested in Kirby and Super Smash Bros, but but.... If only money drops from the sky! ): On a lighter note, does Super Smash Bros support online multiplayer? It does right? I never tried SSB and Kirby before. @drfunk MH4 is only being released in Japan, Monster Hunter 4 Ultimate is the one being released in other countries in 2015, maybe it'll make next years list. As for my pick, I'm getting Moon because I love FPS's and I'm a sucker for sci-fi themes. I hope there's a promotion for getting both versions of SSB! @Lovomotif Smash Bros Brawl had online matches,so I assume the wii u and 3ds versions will as well.Try Kirby's dreamland 1 or 2 on vc,and see if you like it. Definitely getting Smash Bros., Mario Golf and maybe even that Tamagotchi Collection "game"
Due to spending over 300 hours on Pokemon X already, I need to catch up and get playing Fire Emblem Awakening, Bravely Default and Zelda ALBW. I'm kinda relieved there's nothing else major for me on the horizon yet. @JaxonH - "DS Lite was in many ways a step backwards- it lost all backwards compatibility with GBA"
I know you already discussed this w/ that other person, but while losing GBA compatibility was bad for DSi, it gained a camera and internet access. So yeah, it still played DS phat and Lite games, but it could do a whole lot more, and a whole lot less like you said, so it nearly was a different system if you compare the original DS to DSi. I've been expecting a 3DS update for about a year now, adding the 2nd thumbstick, but at this point I think skipping an update for a new system w/ Wii U integration might be the way to go. Had to vote for Persona Q, I'm hyped for Smash and Shovel Knight, but I never once in my life imagined getting Persona on Nintendo 3DS hahaha. i cant wait for 3d classic fantasy zone and i'm hoping and praying we get youkai watch (ghost watch) in NA, moon looks pretty rad, and that new orbiter one that was just announced looks awesome too. but i think the one i cant wait for and want the most is one piece unlimited world red, thats going to be so awesome! lol your negativity never ceases to amaze me. Moon Chronicles is my most anticipated with Smash Bros., Kirby, Shovel Knight and Persona Q in the mix. I'm really only looking forward to Tomodachi Collection and Kirby Triple Deluxe on the 3DS as far as full priced 1st party retail games go. I'm sure there will be a few eShop only games that will fill the rather large void. I'd settle for a 3DS drought as long as the games were coming thick and fast on the Wii U but that doesn't seem to be the case. It's going to be a bit of a boring year this year. 3DS wish list for this year. A FTP FZero, Pokemon Z or lots of Pokemon XY DLC, Dragon Quest 7. I'm waiting for Moon Chronicles and Super Smash Bros. Thankfully I recently got Wii, so I still have lots of games to play! @Superstick Definitely. Kirby's Adventure hasn't exactly aged well. I just don't understand why people are ragging so much on Moon Chronicles. It looks fun to play! Mario Golf and Moon Chronicles over here!!!! How long overdue that one was will never be stressed enough. Haven't seen gameplay footage of persona Q, but i played persona 3 and it was quite good (complex/weird story) so at least is in my radar. 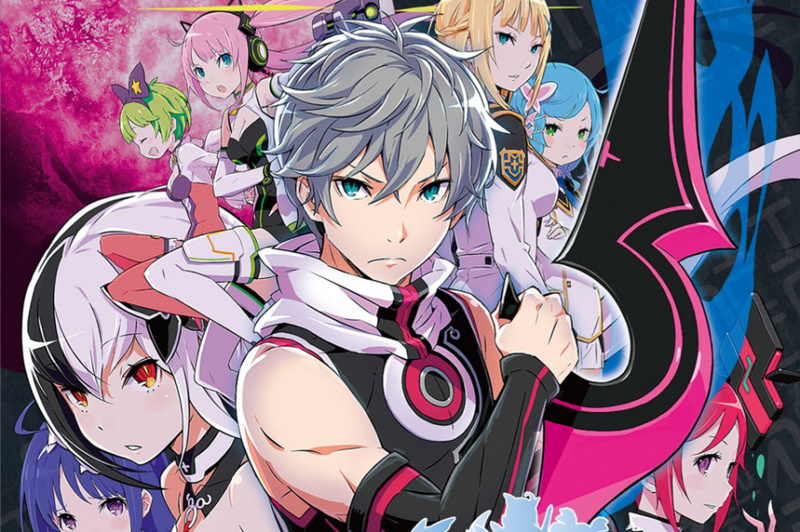 Conception II was a game that wasn't getting my attention until the demo. What a quircky and weird RPG/dating sim. It got me interested at least. I'm a self proclaimed eShop addict, and when we where told Shovel Knight and Shantae were going to be sold there, I got no choice. Must buy games for me! But what about mom's w/ left handed kids? "if it syncs as a controller on a home console"
4DU it is. Well 3DU if it's more like a DS Lite to DSi change rather than a DS to 3DS change. The latter would be 4DU, which now that I look at it is a really horrible name, sounds like a "boy band". 3DU sounds better than "3DS U" though. 3DSu. 3Du. What's your thoughts on 2nd Gamepad games for Wii U, ever gonna happen? If not, then I guess a 3DU makes no sense. Would be cool for football and strategy games though. Still on the fence about Conception II. Still, Super Smash Bros., Persona Q, and Shantae look great. Will be getting PL vs. PW if/when it reaches NA. You people must be the type to finish games in a weekend if you're somehow bored. I still have 3-4 games from last year that I still need to get. I don't expect Smash Bros to come until the holiday time but I'm excited for Kirby, Disney Magical World, Shantae and possibly Lego Hobbit. I'm still playing through AA: Dual Destinies but I hope Layton vs. Wright is announced for about summer. I still believe we'll see Puzzle & Dragons this year and also Sonic Boom is for this year isn't it? I could see Theatrhythm possibly making it by end of the year as well. Also how did One Piece Unlimited get left off this list? It's only April guys. Let's try not to predict the whole year in just four months. Is 3DS content the problem or is the real problem localization? Most people are talking about making successor but the people in Japan have plenty of 3DS games to play and games coming out steadily. It's just not trinkling to the west as fast. I think 2 gamepads at once will make more sense next gen, assuming the next console retains a screen on the controller, which I believe it will. As for the Wii U, I really don't see the benefits outweighing the costs. I mean, 2 gamepads could allow 2 people to play multiplayer without the TV, or 3 people to play multiplayer and still not need splitscreen, but I don't think anyone wants to shell out $150 for that. It'd be cool, but I just don't see a demand. Next gen, however, is a different story. We know the next system will be BC with Wii U games, which means compatibility with the Wii U gamepad as well. Assuming the Fusion leak is even remotely in the ballpark of what they're dreaming up, we can assume that the next console will have compatibility with up to 4 controllers with a screen- whether they be the new Fusion controller, the Wii U gamepad, or a new handheld that works as a controller for the home console. Mix and match up to 4 of the above controllers. That's when local co-op up to 4 people without the need of a TV will really shine. The Gamepad is expensive right now, but by next gen they'll have refined the 9th gen console's controller with a screen to be a bit slimmer, smaller and cheaper, and I bet they'll sell em for $99 as extras. Factor in that with BC Wii U gamepads, and most likely a handheld that syncs as a controller for the new console, and controllers with a screen will be plentiful for most who own the next home console. That's when we might start seeing some games developed with multiple 2nd screen controllers in mind. But not this gen, I don't think. @JaxonH - "assuming the next console retains a screen on the controller, which I believe it will." I hope Mahe doesn't read that, his head would explode. I have to agree, no 2nd Gamepad games for Wii U. Too bad, but too expensive. FYI - traded in DKCTF for SMG2 today. I tried. @JaxonH Looking back at #134 and your latest comments, so you now see how 2 analogs/sliders/whatever would benefit the handheld? @rjejr Being left-handed myself, I did find some games to be particularly annoying to get used to without an alternative(haven't cared to buy a CPP XL up to this point, honestly, for various reasons), so I feel you back on #139. In theory? Yes. Practically? No. Not at the moment. If, in the future, the day comes that Nintendo makes a handheld that is compatible as a controller for their home console, then yes, of course. But that is not the reality atm. Nor do we know if that will ever be the reality. Yes, it would be very useful if that were the case. But that's just not the case. @JaxonH Oh, I wasn't talking about now(seeing as the CPP isn't really supported anyways, it wouldn't serve much purpose, especially this late in the 3DS' life). I agree with rjejr though and would hope for a handheld to come with a second built in when it comes to next gen, regardless of whether it will be compatible with the console in a control sense. On that note though, most games using dual analogues don't exactly give you an option to switch. So I don't see how that would benefit you in most cases (notice I said MOST, I know some games allow for such customization). Also, I'm right handed, but I throw a frisbee with my left hand. Sometimes you have to learn to do things with your non-dominant hand. Even playing video games- all right handed people had to learn to control the default analogue with their left hand, because it's always on the left side of the controller. So even though I'm right handed, I had to learn to play with my left, and THEN I had to learn all over again with my actual dominant right hand when dual analogue controllers hit the scene. Point is, even though you're left handed, out of necessity I'm surprised you haven't learned to play with the default left analogue yet. I mean, you use it anyways when you play games with dual analogue controls. You're using both of them the same- using both left and right hand to control camera angle. What's the difference between using it then, and using it by itself? I don't mean that in a snarky way or anything, I'm just sayin is all... I mean, you must have learned to play with your non-dominant hand (well, your dominant hand, since the default analogue is on the left and you're left handed- I guess I should say your non-dominant GAMING hand lol), otherwise how have you been playing video games all these years, right? @JaxonH Those two bits of my post weren't necessarily connected(at least in that way), the second analog is for other reasons. I wasn't exactly demanding they add such an option either, it would just be pretty helpful really. Said games that use the CPP do benefit from it it seems, as games like KI:U(this especially; was a nightmare to get used to. Anything with similar stylus controls in the future could use it as well; have noted from others that it could benefit things like FPS), MGS and RE:R prove. Yeah, not the biggest selection (yet) but it could serve well as handhelds become better in the future. Of course I use the left slider(there are plenty of games where such a thing is far from crucial), just don't see why some are so hellbent against having the option when it would pretty much only do good. I'm curious of all the people who've said Conception II is too weird have even tried the demo. It's a shame it didn't get more votes, I think its good game . @JaxonH - "I breezed through it relatively easy"
I think you could finish (end credits) Jungle Beat w/ your eyes closed using your feet in about an hour then. If I recall DKJB was one of those games that was easy to breeze thru but had bronze silver gold platinum (similar to Rayman Origins) that kept you wanting to come back for more b/c each level was fun to play. BUT you could at least play thru the whole game. And if you did well you opened up harder challenge levels at the end - some extra letters after DKJB, or maybe it was fruit. That to me is the way to design a game - an easy playthru so you see what the game has to offer, and then give a challenge to unluck other stuff. SMG games have a fairly easy path to the final boss but then a bunch of other levels for a challenge - very few of which I've ever beaten. Same w/ Sunshine where I'm at about 80 of the 101 stars. But I still feel like I got my moneys' worth. 7 or 8 out of 50 levels and I feel cheated. I never want to HAVE to replay a level more than 10 or 20 times, I want the game to make me WANT to replay a level 20 or 30 times b/c it's fun and I can try for a higher score. MKWii had mirror mode, which I've never been good at, but I was happy to unlock. I hear you. Though if you are skilled enough, that is the case. I wanted to play levels in DKC TF 20-30 times, and some I played more than that (time trials mode w/video upload is addicting). But I'm really good at platformers, particularly DKC. But Idk, even if you're only average in skill, to me the fun is in wanting to beat the level bad enough to try it 10 times to do it. People are different, I guess. My brother has no patience for failure. He quit playing DKC Returns on World 3 because he was dying on a mine cart level and got frustrated. But me, I don't get frustrated. Dying doesn't bother me. Because when I die, I know it's because I lacked the necessary skill one way or another. So I try again, and again, and again (if necessary) until I accomplish the challenge at hand. In time trials I would restart some levels up to 30-50 times because of just one minor slip up or mistake. But it just made it all the much funner. I enjoyed the thrill of the steep challenge. I enjoy my skills being pushed to the limit. I enjoy being defeated, especially being defeated repeatedly (that means I've met my match), as long as my death is my own fault. The funnest stages to me were the ones I kept dying on. It's refreshing to actually have a challenge presented that is worthy enough to overcome my skill level. Which only makes me get better. I have to. Evolve and improve my skill, or fail. @JaxonH - Reading all that stuff about your brother makes me glad the game is hard so you can enjoy it, you were kind of looking forward to it a little bit I know alot of people, myself included, were bummed how easy Kirbys Epic Yarn was, even for a guy like me. I'm a 3D guy myself though so not a great loss on DK, I have way more to play than I have time really. Typically I do prefer 3D platformers to 2D platformers, exept when it's Donkey Kong Country. I also enjoy Mario and Rayman as well though. I thought NSMBU and Rayman Legends were also VERY worthy 2D platformers (and NSMB Wii and Rayman Origins before them), even though they're not in the same league as DKC. 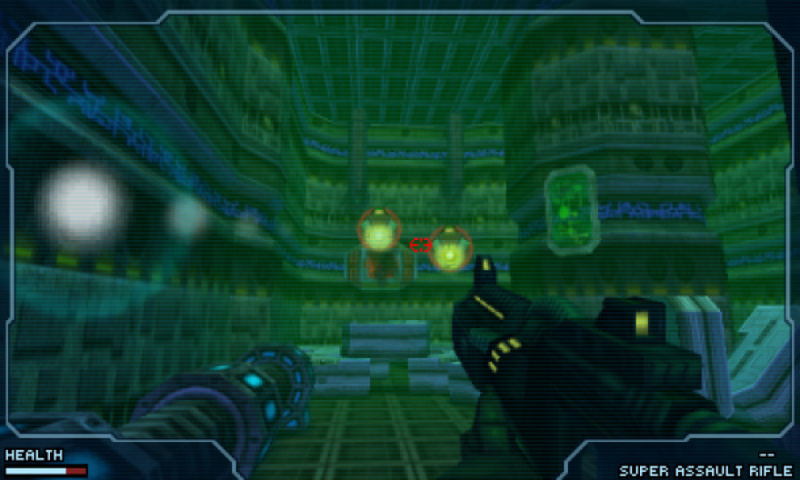 But I started playing Metroid Fusion on Wii U last night, and now I'm hooked. I'll be devoting full attention after I beat Infamous tomorrow. And MAYBE, just maybe, I can move on to Bravely Default, Yoshi's New Island, finish Mario & Luigi Dream Team or Zelda Ocarina of Time, or maybe go back to Darksiders 2, or Mass Effect 3, or Deus Ex, or Assassin's Creed 4... oh, wait, I still gotta go back and finish Metroid Other M! And Xenoblade! And now that you mention it, Mario Galaxy 2! Crap, I never finished Skyward Sword either, or Fire Emblem Path of Radiance, or Fire Emblem Radiant Dawn, or Fire Emblem Shadow Dragon, or Fire Emblem Sacred Stones... I feel like I want to scream. @JaxonH - No Zelda, no 3DS. If I can play DS games - Advance Wars rocks - on my tv why can't I play 3DS games on my tv? May get a 3DS XL for my birthday in July depending on how E3 goes. I'm years away form a PS4, I sitll need to play about 12 games on my PS3 - Batman AC, TR, Borderlands 2, Metro, DD:DA, Ni No Kuni, WKC2, Darksiders 2. I know you don't like PS+ but for a $30 Black Friday sale I have way more that gotten my moneys worth, well if I can, you know, actually get the games played. I'm watching way too much tv now, summer I'll catch up. Hmm, this brings up an interesting point. The 3DS seems to have a relatively clean slate for upcoming games after Kirby and Mario Golf. Only things we know for sure are Smash Bros, Persona Q, and Sonic Boom. So here's my question. 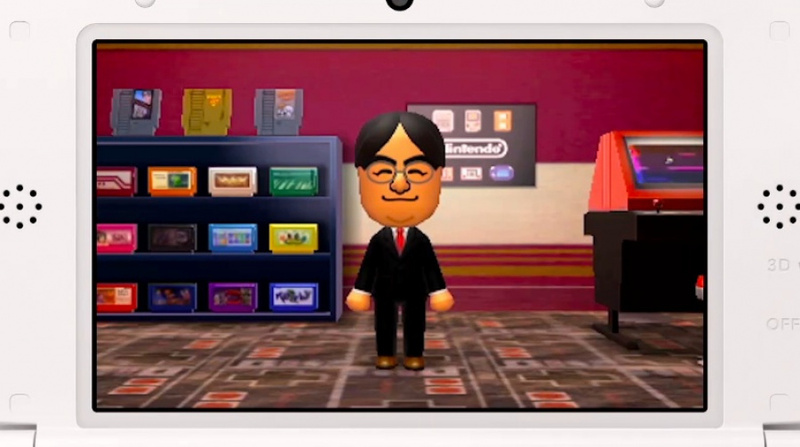 What do you think Nintendo will announce for the 3DS at E3 or in a Nintendo Direct? Majora's Mask 3D seems to make the most sense as that could just be handed off to Grezzo and can reuse OoT 3D's engine. Advance Wars and Golden Sun seem somewhat likely. Maybe we will see that mysterious Monolith Soft 3DS game? Honestly guys, whats with all the cutsey stuff? I know that 3DS is not a 360, but Mario golf? Seriously? People would be excited about that in the 80s! Does anybody else think a 3D console should be used for something that isnt an 8 bit idea with graphics? Why make kirby in 3D when you can make games like MGS and Ridge Racer in 3D? Immersive, beautifully realised - this whole list is some kind of catalogue re-hash. Nintendo, get off your backsides and do some Nintendo. The Moon game might be cool - except that it looks like a ten year old PC game, only in 3D. Prove me wrong, guys.